From Academy Award® winner JAMES MARSH, the director of The Theory of Everything, comes the extraordinary and moving true story of amateur sailor Donald Crowhurst, and his attempt to win the first non-stop single-handed round-the-world yacht race in 1968. With an unfinished boat and his business and house on the line, Donald leaves his wife, Clare and their children behind, hesitantly embarking on an epic adventure on his boat, the Teignmouth Electron. During his months at sea, Donald encounters bad weather, faulty equipment, structural damage and solitude. As the pressure from what awaits him back home increases, Donald relies on fierce ambition to keep his seemingly unachievable dream alive. This quintessential British story and production is boosted by an impressive support cast of DAVID THEWLIS, KEN STOTT and JONATHAN BAILEY. Produced by Pete Czernin and Graham Broadbent through Blueprint Pictures and Scott Z. Burns, alongside Nicolas Mauvernay and Jacques Perrin of Galatee, the project was developed with Christine Langan from BBC Films and STUDIOCANAL. 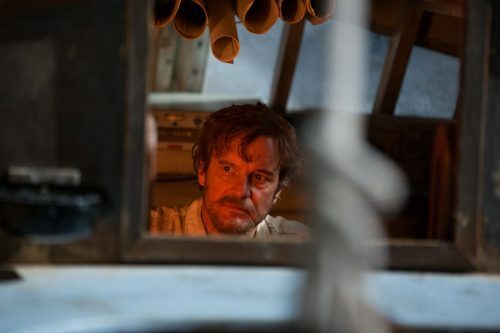 Featuring outstanding central performances from COLIN FIRTH and RACHEL WEISZ, THE MERCY is a powerful, emotional and compelling true story about one man’s dream to attempt the extraordinary.